Rare find. Buy a Farm in the City. West end of London within city limits, this 163 acre farm is bordered by Dingman Creek, has 95+/- acres workable and 40 acres+/- bush. 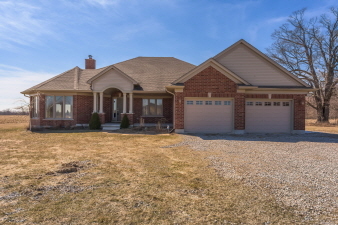 Two homes on this parcel of land, one home is a well-maintained century home and includes barn and fenced paddock; the other home is a custom built 2230 sq ft ranch, built in 2007 and includes a shop with concrete floor. Zoning is AG1 and AG5. Call for complete package. Additional Features and Amenities 2 house, a barn and a shop.